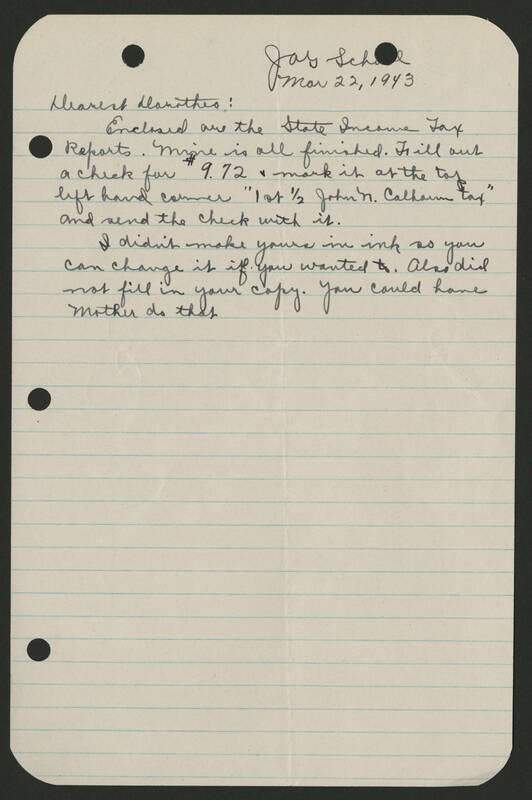 JAG School Mar 22, 1943 Dearest Dorothea: Enclosed are the State Income Tax Reports. Mine is all finished. Fill out a check for $9.72 & mark it at the top left hand corner "1st 1/2 John N. Calhoun tax" and send the check with it. I didn't make yours in ink so you can change it if you wanted to. Also did not fill in your copy. You could have mother do that.